Like many of you, I spend more time key stroking than I do putting pen to paper, but I do occasionally write – in print and cursive. It just depends on what I’m writing and my mood. Yes, my mood determines my writing style, and even writing quality. I came across an article today about legislators in Washington state considering a bill that would make teaching cursive handwriting mandatory in public schools. What?! It’s not already required? I’ve heard similar talk in the media before, but I guess I really didn’t take it seriously or didn’t think schools would actually remove cursive from the curriculum. While I understand we use computers and other electronic devices in many careers and kids use tablets and laptops in schools, I am concerned about the idea of not teaching cursive. 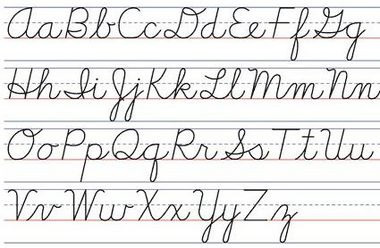 I loved learning to write in cursive. I think I was in third grade when Mrs. Poston taught our class the art of cursive writing. I remember how she would slide the chalkboard liner across the dusty green chalkboard to make perfect lines and demonstrate how to write the upper and lowercase letters. Then we’d practice handwriting on paper. You remember the grayish-colored paper with the blue solid line, broken line, solid line pattern, right? Learning how to loop and join letters was so much fun. I loved it! All that practice helped improve my penmanship and boosted my writing confidence. I was always scribbling on paper, writing words or my name in cursive. I still find myself doing it, especially if I’m sitting in a boring meeting or as a warm-up exercise before I have to complete some type of document. Knowing how to write in cursive made me feel like a big girl. I could do something that adults knew how to do. Is it a lost art? Should it become one? Sure, times have changed, but I don’t think change has been so swift that kids should not learn cursive writing. What about signing their name? Will everything soon require an electronic signature? What if they have to research old, handwritten documents? How will they read them? I guess I’m officially old school. I do have friends who prefer writing in print, but I wonder if they’re opposed to their kids learning cursive? Raise your hand, or your voice, if you want to keep cursive in schools. Scroll down and express yourself in the comments. grocery list you should never be without is SALSA. Salsa is cheap, adds tons of flavor and fiber to meals, can be used a million different ways, and you will soon see why it is the MVP of your pantry. 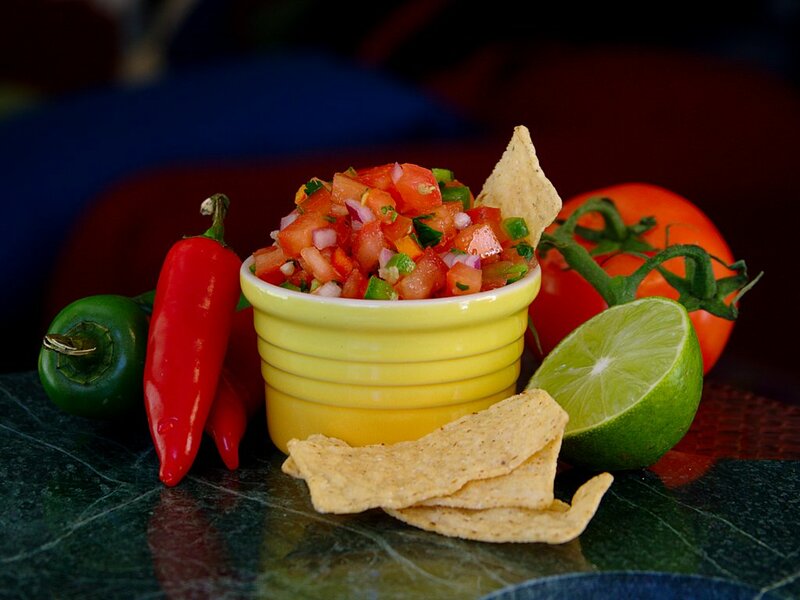 Recipes you can make – from slow cooker feasts to quick and dirty snacks – with salsa are endless. Whether you are a vegetarian or live on meat, salsa is here to turn your dinner dilemma into a dinner you can’t wait for! Salsa chicken – Combine one jar of salsa and chicken breasts (or a couple of cans of black beans) in the slow cooker and allow it cook all day. Chicken breasts can even start frozen. Serve over rice, in tacos, or in burritos when it is dinner time! Protein, veggies, and flavor! What’s not to love? Scrambled eggs and salsa – Scramble some eggs and top with salsa for a spiced up spin on your usual breakfast. Or have this breakfast for dinner. Salsa soup – Recipe here – Salsa, protein, and some chicken broth are combined to make an awesome soup. Top with a squeeze of lime, avocado chunks, and some cilantro and you’ll feel like you are eating at a restaurant. Salsa chicken chili – Recipe here – Warm up with salsa chicken chili. You’re only four ingredients away from your new favorite meal. These four recipe ideas should add some spice to your meal routine! When I hear the words ARTS CONSERVATORY, my interest is peaked, my attention grabbed, and my artistic heart and mind are intrigued. So you can imagine my response when my fellow artist and teacher friend, Amy Hyman Reynolds, mentioned the mission for an Arts Conservatory here in the Midlands – a public charter school with a fine arts focus for 5th graders on up through high school. What!? What?! Every part of me halted with instant enthusiasm and excitement at the mere thought. As a lover, supporter and teacher of the Fine Arts, my heart swells at the mention of the mission to bring an Arts-focused school to my community. 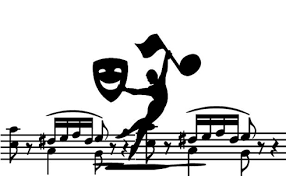 I know I may sound a bit dramatic to some, but if you have even an inkling of the outstanding benefits that the Fine Arts provide to young minds, I believe you would quickly understand my passion. Other areas in South Carolina, like Greenville and Charleston, have come to realize the benefits of launching Arts-focused schools. These charter schools are creating successful, well-rounded adults that contribute to our communities in so many outstanding ways. Columbia, South Carolina needs this! We have such a wealth of talent in our local communities. The young, brilliant minds of our community ache for the opportunity to integrate the Arts into the core subjects and hone their talents. Having an Arts-focused charter school in the Midlands would provide an incredible learning opportunity for students. It really is hard for me to find the words to truly express the magnitude of benefits. The movement that is M.A.C. – The Midlands Arts Conservatory – is a dream come true for an area that is bursting at the seams with talent. I implore you, I sincerely ask you, I dare you to take the time to learn more about the proposed mission to bring M.A.C. to our lovely community. Allow yourself to soak up all the information about this movement so that you can become a part of it! Please get involved, help spread the word, submit a letter of interest, come to the meetings, acknowledge the great benefits of the Arts, and show your support! The deadline is near to prove that M.A.C. is a most worthy cause that will do nothing but benefit others. Enrich your mind and enlighten yourself. Take the time to read my blog posts. Spend time Googling the studies that explain the many ways students benefit from fines arts education and arts integration. And by all means, devour the Midlands Arts Conservatory website. The next information sessions are on January 24th and January 30th. (You can find more details on their website.) Learn about their mission and think on what it could do to fill a void in our community. The community leaders and professionals that are spearheading this movement are an impressive group of some of the finest teachers and supporters of the Arts. I am proud to join the movement and show my support. I hope that you will too! This blog post reflects the views of its author, Shannon Boatwright, and is not an endorsement for the school by Lexington Medical Center. Ever since I was a little girl, I have loved using lists. 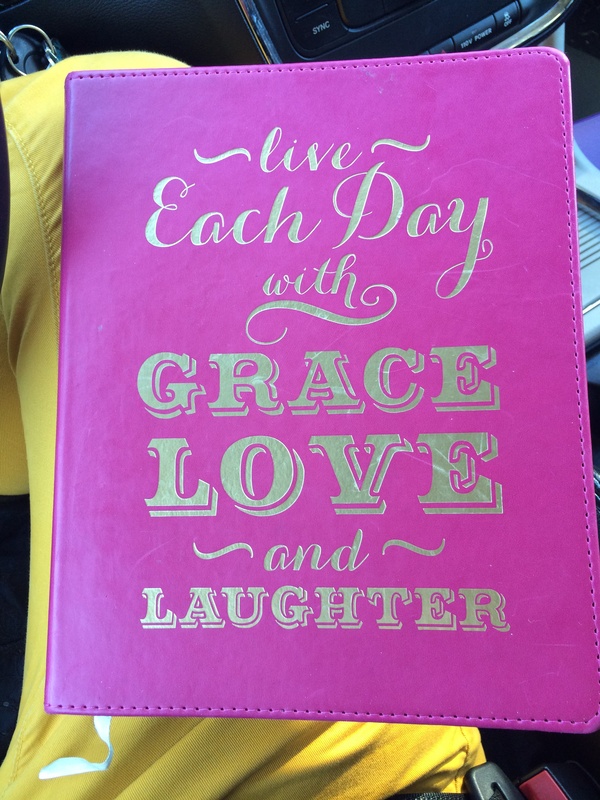 It’s not because I am an organized person….quite the opposite. In fact, I tend to get overwhelmed and forget things which lead to me wasting time. 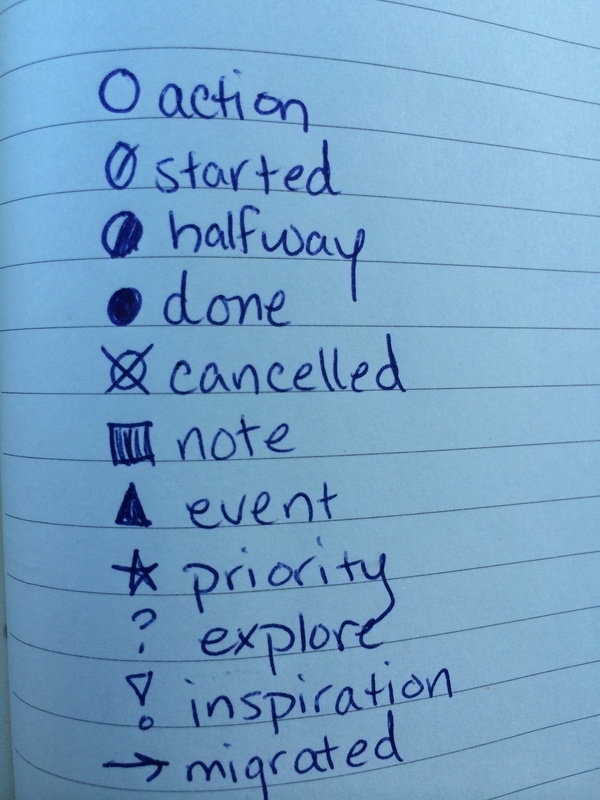 Lists have always been a tool for me to gain control of tasks, even if I don’t always complete them. Late last summer, I starting seeing a lot of cyber talk about bullet journaling. 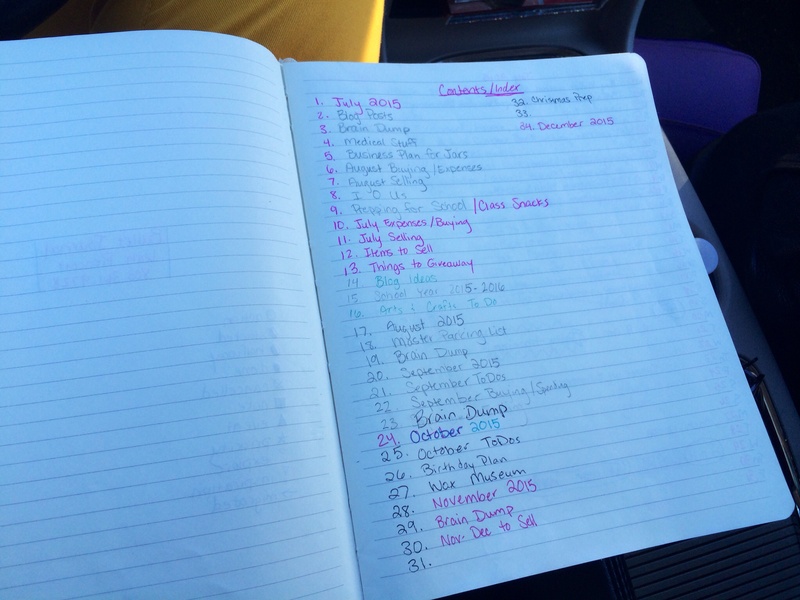 If you like lists, you will absolutely LOVE this planning method. Called “an analog system for a digital age,” bullet journaling is a system of organizing lists so that nothing falls through the cracks. are different variations of the method; it’s flexible, forgiving, and customizable. I immediately knew it sounded like the perfect method for me. I love the feel of a pen and paper, but I struggle to consistently use rigid calendar systems. I always fail at digital calendars of all kinds. The best part is, all you really need is a pen and a notebook. Since I have started bullet journaling in August, I have done much better at staying on top of my to-do lists. I always know where to find important information and I find my planning time to be so much more effective than it ever was before. The best part is that I finally have a spot for all the random ideas and questions that pop into my head throughout the day and I can actually retrieve that information at any given time. Talk about a game changer! For example, if I am suddenly struck with the perfect gift idea for my brother for Christmas, I will add it to the Christmas 2016 page. If I want to remind myself to look up a homeschool deadline, I will add it to my homeschool planning page. If I make a new recipe that’s a hit with the family, I will add it to the Meal Rotation page. I finally feel like my obsessive list-making is working for me! If you are interested in Bullet Journaling, you can read all about it here: http://bulletjournal.com/get-started/. This morning, I overslept. I actually woke up with my first alarm at 6 a.m. and went back to bed. I had another alarm at 6:25 a.m., and I vaguely remember it going off, but I must’ve turned it off. I woke up after 7:30 a.m. and could hardly move. I decided to take an hour annual leave to give me some time to wake up and get to work, and it was annual leave that I really shouldn’t have used. I drained my sick time and annual leave with the aneurysm rupture recovery and rehab, and it’s been quite slow to build back up. This morning, I also decided to change my ways and do what it takes to get up and out in the morning…without stressing and/or rushing. Since coming home from rehab in Atlanta, I feel like my time is not my own. After forming some good habits during rehab, they’ve slowly made their way back to not-so-good. I’m staying up later. I’m on my electronics too late into the evening. And I’m living by the seat of my pants again, especially in the mornings. Practice good sleep hygiene. “Keeping a consistent sleep schedule is one of the best ways to ensure you’re getting quality, restful sleep,” says Dr. Watson. If you need to shift your schedule earlier, start moving your bedtime forward by just 15 minutes at a time. Adjustments more drastic than that will keep you rebounding between early and late bedtimes rather than creating lasting change. In Atlanta, I went to bed at 8:30 p.m. like clockwork. And while it sometimes took a while to fall asleep, I was in bed. I can do this again. Take your time. Balancing your own well-being against other personal and professional responsibilities is tough. Often, finding the right work-life equilibrium starts with saying “No,” and so does getting enough sleep. Pare down your evening commitments so that you’ve got an hour completely blocked off to wind down before bed. Next week, I plan to start back at the gym after work; this will be an additional two evening events each week. My church is starting new small groups this month. While I really want to do a small group, I’m going to wait until I have a better hold on things to add yet another evening commitment. It’s hard to say no, but I know that I have to do so for my sanity and health. Power down. Any kind of light can shift circadian rhythms, making it harder to sleep at night. And if you’re constantly plugged in, you’re even less likely to hit the hay right away. Research has shown that the blue light emitted by electronics like laptops and cell phones disturbs sleep even more than natural light. Turn off those electronic screens at least an hour before bed to make dozing easier. I’m torn to do everything I want to do in the time I have, so I started pushing the envelope, especially when it comes to electronics. Someone just gave me a new book; I think I’ll start it now so I can wean myself from my cell phone and laptop. I gave up evening TV in Atlanta, largely because I didn’t have a TV for the bedroom in the apartment. I’ve been able to keep this habit, thankfully, with only a few exceptions. Prep before bed. Wondering what to do with that electronic-free hour? Use the time to get together anything you’ll need in the a.m. Shortening your morning to-do list just might make it easier to roll out of bed. My big time kill in the morning is deciding what to wear. I could do this in my electronic-free hour. Get cozy. Temperature, noise, light and comfort can all impact your ability to sleep well. A cool, quiet room (around 65 degrees) has been shown to be an effective sleep environment. Since the aneurysm, it seems like I’m always cold, so I’ve been setting the thermostat up. Instead, perhaps I should just crawl in bed. I know that would make my sister roommate happier since she likes it cooler than I’ve been keeping it. Play a mind game. The alarm goes off, and the immediate temptation is to hit snooze. Go ahead, do it — but then stay out of bed for those next nine minutes. The idea of the so-called “inverted snooze” is to ease the pain of waking up by telling yourself you only have to stick it out for nine minutes. Move around, stretch, start brewing coffee — anything to keep yourself awake. By the time the alarm goes off again you should be awake and alert enough to start your day rather than still grumpy in bed and (likely) hitting snooze again. I love the idea of the inverted snooze. This will give me time to bump up the heat and get a head start on breakfast. Bite the bullet. If you naturally wake within minutes of your alarm, it can be tempting to close your eyes and relish in a few more minutes of rest. But you’re better off just getting out of bed. When you wake spontaneously, you’re likely in a light sleep stage, explains Dr. Watson. 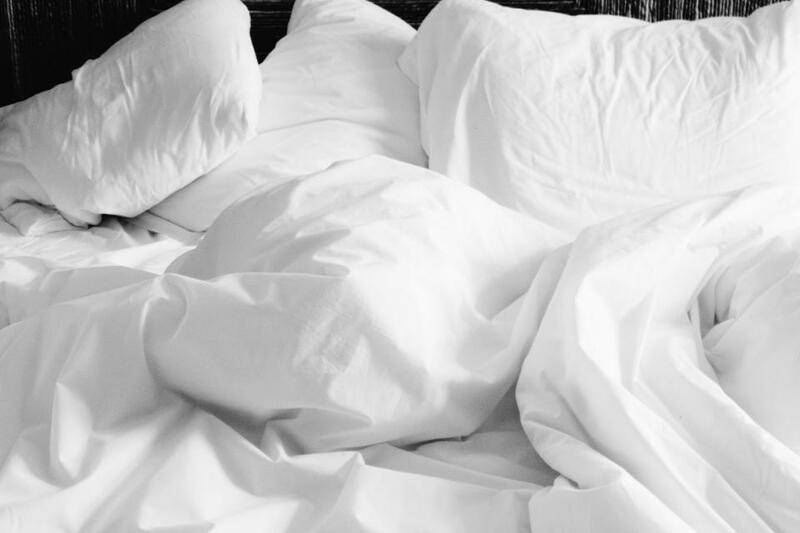 Going back to sleep could send you into a deeper sleep stage, making it harder to wake up and start your day. Enough said. I can go ahead and get up. Now that I have a plan, I’m much more excited about trying to become a morning person again. I’m hoping my next post will be about how great my mornings are going. Are you a morning person and/or have you learned to be out of necessity? Do you have any tips and tricks that work well for you? I grew up witnessing and hearing the incredible talents of my mother. For me, it was a common occurrence, “no big thang,” to hear my Mama tear it up on the piano, to watch her teach others, and to witness others being brought to their feet in standing ovations or even brought to tears as a result of her brilliance. My whole life, from this woman’s womb to the present, I have enjoyed listening to her create beautiful music at a piano, organ or keyboard. 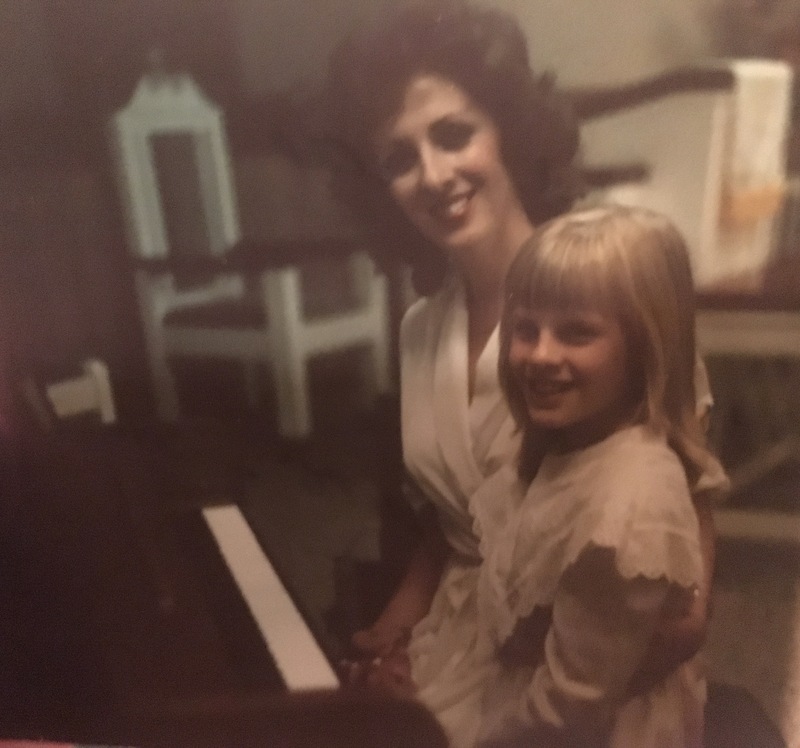 Growing up, it was pretty much a weekly event to attend performances, whether at a church, theater, studio, or another setting, where I could watch my mother grace others with her talent. As a child, I also witnessed her teaching and inspiring others every week. I would come home from school and have specific responsibilities because my Mama was busy teaching piano from our home in the afternoons and sometimes into the evenings. She always had a studio space of some sort, no matter where we lived, to teach others the amazing art of music. I was consistently exposed to teaching, learning and music. And when my mother was not creating or teaching music herself, the music of other greats always filled our home. It was inevitable that I became a lover of music. And I guess it’s no surprise that I’m a teacher of the Arts and have such a passion and appreciation for the Arts. I have to admit, I’m ashamed to say that I do not play the piano. I could’ve. I should’ve. I did for a bit in my youth. I had the knack, it was there in my fingers, in my blood in a sense…but, to be brutally honest, I knew there was no way I could ever be as good as my mother. And that deterred me, which is a total shame. People used to say, “I bet you play as well as your Mother!” The pressure was fierce. People assumed that just because I was her offspring, that meant that I could bring magic to the keys like my mother did. Not so. Possibly could’ve been so. 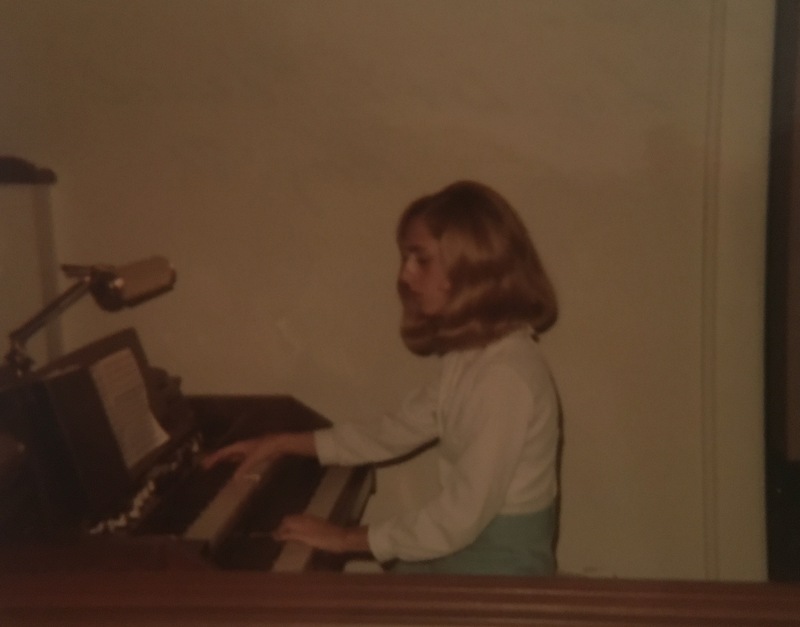 When I was a pre-teen, I actually got good enough to play duets with my mother and it felt amazing. I was proud of my work and the difficult piano pieces I was able to help bring to life. But the more I played, the more people made comments that made me feel the immense pressure to be as good as my mother. Most unfortunately, that resulted in me quitting the piano. My focus became anything and everything BUT the piano. And my precious mother never forced me. She even paid for piano lessons for me with a different teacher. (Which I very quickly realized was a waste of money, because no one was as good a teacher as my Mama.) As I got older and realized even more that there was indeed a talent within me, I asked her, “Why didn’t you just MAKE me take lessons from you!!!?? I could be so great now!” Her lovely response was that she didn’t want me to resent her and turn my back on music. Flash forward to the present day and I can say I certainly did not turn my back on music. In fact, music has been and is an enormous inspiration in everything that I do. I went through almost EVERY musical instrument and my defensive response to people eventually became, “Oh, I don’t play piano. I’m a dancer, a singer, an actress!” My strengths in the performing arts grew and I’m very thankful for all the experiences that my talents have led me to thus far. I grew up with one of the greatest mentors I could ask for and I didn’t even know it. I love to see entertainment come to life and bring joy to others. I have a producers’ heart, a passion for directing and producing that is equal to performing. I owe that passion to witnessing my mother always hard at work, not only creating beautiful music, but creating beautiful events and performances, entertaining and inspiring both audiences and students. 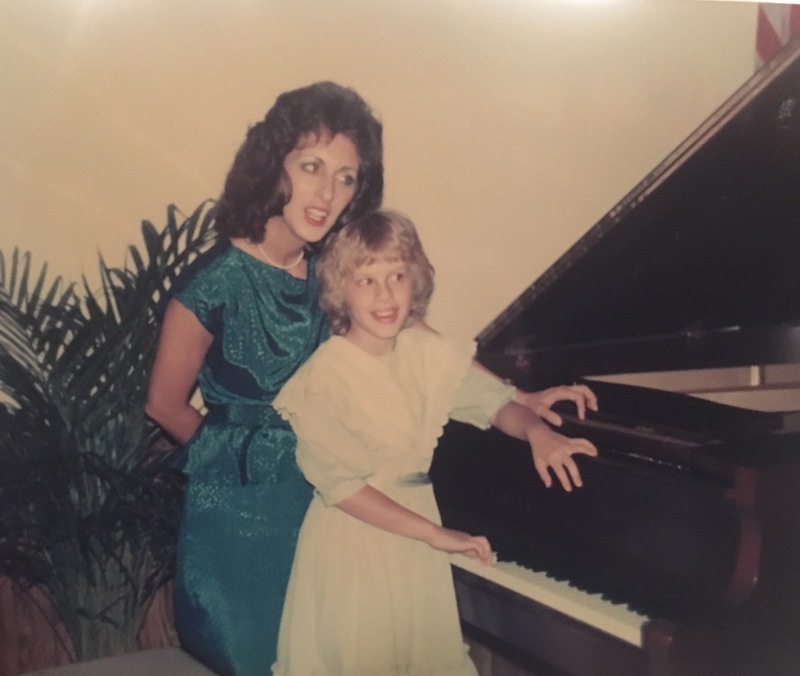 My mother is not only a performer, but has taught music for over 40 years. And I had the honor of growing up witnessing her in action on every level, from one-on-one lessons, to group workshops, to producing and directing full-scale productions. A teacher’s heart was born in me as I watched my mother in action. As I witnessed her own proud heart swell at the accomplishments of her students, as I watched student after student reach levels of success due to her unique teaching skills and range of talents. It seems it was a natural step for me to add teacher to my resume. After watching her over all these years, I developed a love for teaching and inspiring others. And what a blessing that has been! 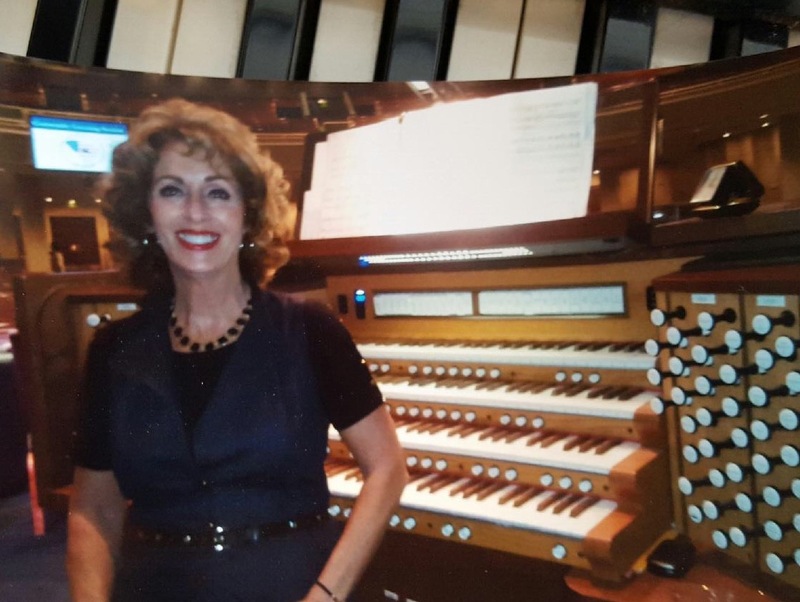 My mother is not just an accompanist. She is a force. She is a brilliant star that shines with many talents, and she never ceases to amaze me. The video here is from just a few weeks ago at the close of 2015. If you take the time to watch the whole video, you’ll experience a small taste of one of the many talents my precious mother possesses. This particular performance brought people to their feet in a standing ovation. It brought tears to my eyes and filled my heart in ways that I cannot express with words. There is a quote that says, “music speaks what cannot be expressed, soothes the mind and gives it rest, heals the heart and makes it whole, flows from heaven to the soul.” I truly believe that music ignites the heart, gives wings to the mind, flight to the imagination and life to everything. And my mother’s performance did just that for me. It was a beautiful reminder of the power of such a gift and the importance of sharing it with others. 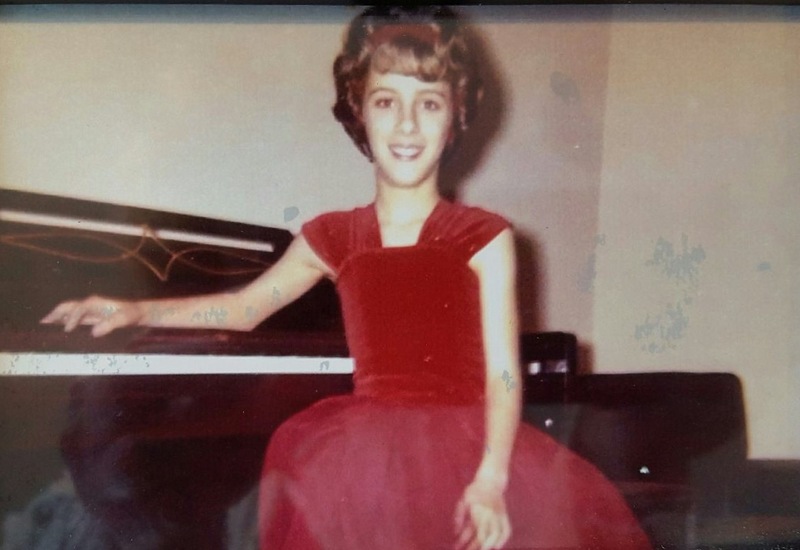 My mother is drawn to the piano like a moth to a flame, but her dedication is awe-inspiring. She is the ultimate professional. Her talent really is a priceless gift; a gift that she earns with hours upon hours of hard work practicing, perfecting, and giving her all so that she can inspire and bring joy to others. For that, I am ever-grateful, ever-proud, ever-thankful. In my adulthood, I recognize, celebrate, honor and share my mother’s passions. In my eyes, she will forever be a brilliant star. As you have no doubt come to realize over the last few years, I am a deeply sentimental person. As such, good-byes do not come easily for me. As an adult, I have only had 4 jobs since completing college and, even for the ones from which I was happily leaving, I have shed some tears. I develop strong attachments and bonds to people, places, and things. Does this make me materialistic? I don’t think it does. Rather, I tend to attach memories to items that probably aren’t as important as they should be. As several of my Every Woman Blog counterparts did, I, too, have recently had to say a fond farewell to a home in which I have developed many memories. I still remember the feeling as I stood on the porch, a 22-year-old newlywed, moving in to the home I would occupy for the next 14 ½ years. Home is where the heart is and my heart developed a very strong attachment to that little house in Leesville. I’ve spent the majority of my adult life in that little tan house. Both of my boys came home from the hospital to it as well. It is the only home they have ever known. The little house on Long Terrace has seen much over nearly fifteen years; many happy memories and some that need not be remembered. She bears the scars of a young family with two growing little boys and a small circus of cats, dogs, and even a couple of hamsters. Her once-white walls are now all painted and most of her carpet was replaced in favor of more durable flooring. I like to think that she has a little more character than the day we moved in. As time and circumstances have a way of dictating the certainty of change, an opportunity to start anew presented itself in the late spring of 2015, and it was one that I could not really pass up. After nearly forty years and much hard work, my parents decided that they were ready for a change and purchased a new home not far from my childhood home. As my childhood home sits on “family land,” my parents offered the boys and me the chance to make the move to their old house. I cannot really say that I jumped on the chance. I mulled it over. I shed some tears. In the end, I opted to take the chance and to begin the moving process. Although my heart hurt to begin saying good-bye to my adult home, there was something comforting about “going home”. In truth, I had spent 22 years of my life there, but my boys had not. As they definitely have some of their mama’s genes, the move was not totally easy, emotionally, for them either. 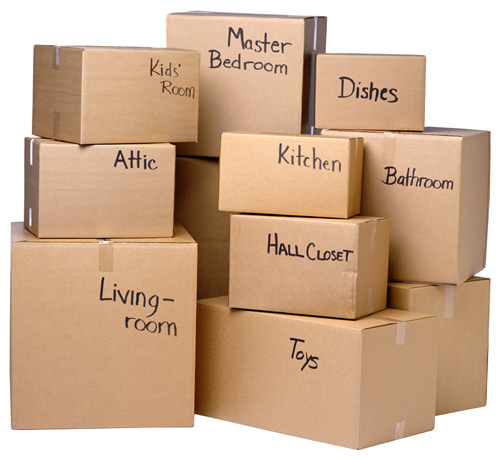 And for someone who has a slight tendency to be a hoarder, moving has not been a physical or logistical piece of cake either. But, for the most part, it is finally over and I have said my good-byes as I have steam cleaned the remaining carpet and swept her floors. And, yes, I have shed a few more tears.